Workplace Stress: Is it You or Your Job? Work can be challenging and tough, but it shouldn’t leave you in a painful, exhausted and depressed state. Find out the cause of your workplace stress so you can best learn how to correct it. 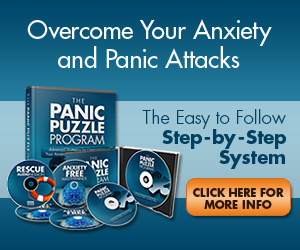 Panic disorder is an anxiety illness which can be very frustrating and exhausting for your mind and your body. Treating such a stubborn and discomfiting disorder is far from easy, especially when the usual treatment methods don’t seem to work for you. Find out trying how a certain kind of treatment may benefit you.